Most of us grew up watching our mothers and grandmothers cooking with cast iron. 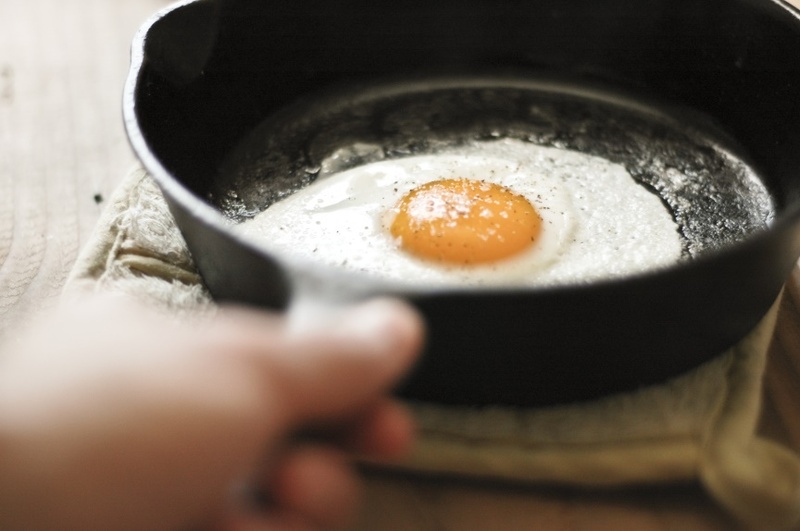 Cast iron cooking brings up a lot of memories, doesn’t it? For instance, I can still picture my mom frying bacon and eggs in her favorite cast iron pan. Dad’s specialty was fried onions and mushrooms. Aunt Annie made incredible pancakes on her cast iron griddle. The other thing is, it does need seasoning (which creates a non-stick surface). But if you’re worried about seasoning cast iron, you don’t need to be concerned. The Internet offers loads of information on how to do this, even step-by-step YouTube videos; it’s super easy. So with this little bit of promotion, here are 7 pieces that cast iron chefs say we shouldn’t be without—necessities for true cast iron cooking. 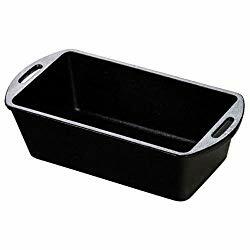 Bread Pan: This the size my mom used when I was growing up. It holds a 1-1/2-pound loaf of bread. Size: L -10.125″, W – 5″, H – 2.75″. When you bake bread in a cast iron pan it is crusty on the outside and fluffy on the inside. Perfection! This pan is perfect for meatloaf too! 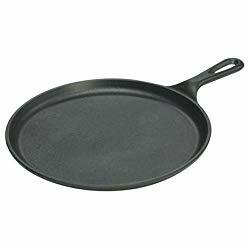 Small 10.25-Inch Frying Pan: Folks like this pan because it’s easy to move around. It’s perfect for scrambled eggs, bacon, fried cheese or biscuits. Large Frying Pan: This picture shows the frying pan with a Lodge red silicone handle, they work awesome! You can make hash browns, a larger batch of scrambled eggs, omelets, or fry your bacon. 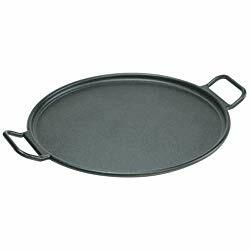 Flat Pan: This is another pan that’s perfect for pancakes, grilled cheese sandwiches, tortillas, crepes, and quesadillas. 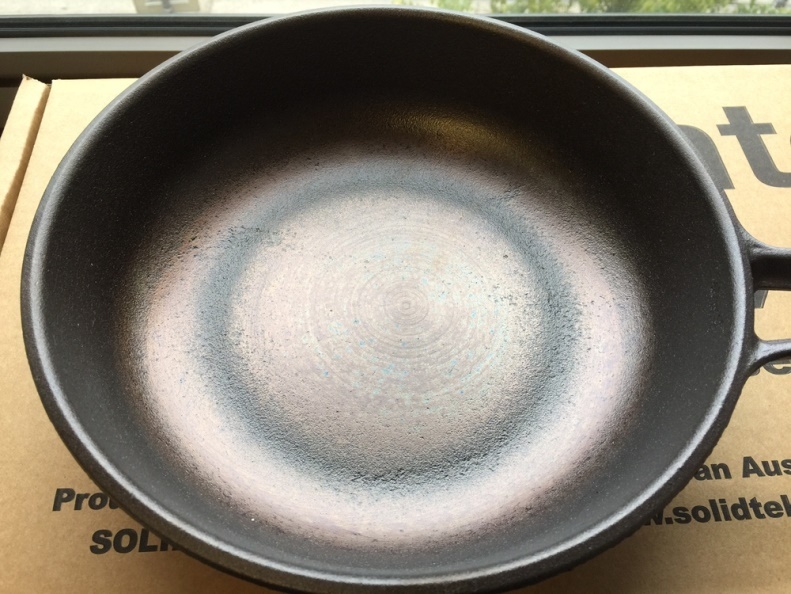 This pan is used more than any pan in our kitchen. Dutch Oven: This Dutch oven does not have legs, so you can’t stack this one on another Dutch oven. It’s perfect for your stovetop or oven, though. You can saute your meat and simmer a soup for the day. The lid is a perfect addition used as a second pan. This is a real work horse. Pizza Pan: This is tops if you want to do pizza on your grill. 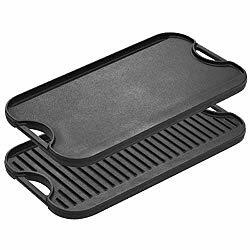 And of course, you can also use it for grilled sandwiches, pancakes, hash browns. It’s really versatile. Griddle: Pancakes, grilled sandwiches, etc. etc. We lay it over coals in the fire pit and even do our bacon and eggs. Here’s another work horse. 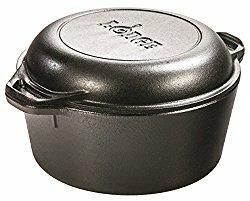 I’d love to hear your take on cast iron cooking and suggestions on seasoning and storing. Meanwhile, if you’d like to increase your collection, do try the thrift stores and garage sales. It’s hard to imagine, but there are folks out there that don’t know what they have! 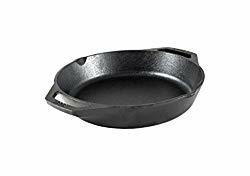 The bottom line to cast iron, however? This stuff is meant to be used, treasured, and passed on!